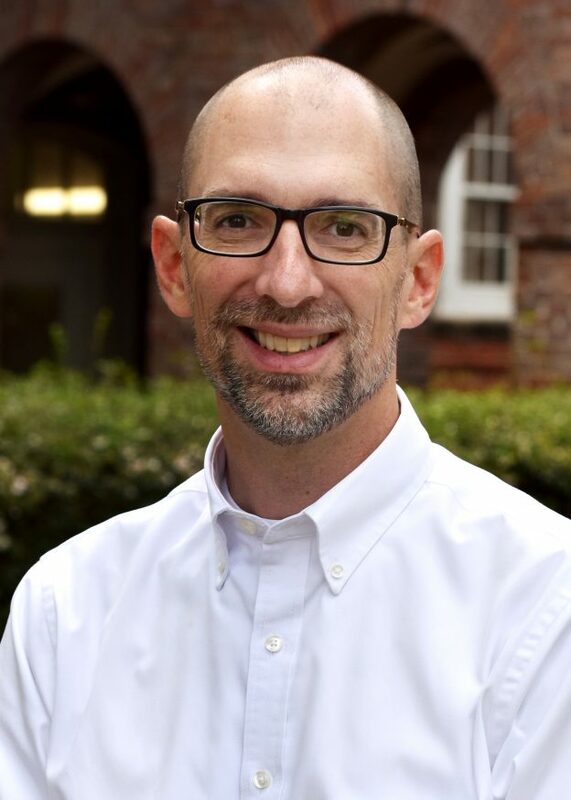 Andrew Smith came to Geneva in 2014 from Memphis, TN where he spent eleven years at Westminster Academy, serving as head of upper school, teaching in the disciplines of rhetoric, philosophy, and theology, and shaping the school’s rhetoric curriculum. He earned a BA in History from the University of Memphis, an MDiv from Beeson Divinity School at Samford University, and an MA in Philosophy from the University of Memphis. He currently serves as an Alcuin Fellow with the Society for Classical Learning. Andrew married Keri in 1997, and they have four children—Lizzie, Anna, Sara Kate, and Hugh. One of Andrew’s favorite pastimes is roasting and enjoying great coffee, and he is always happy to converse about that subject.